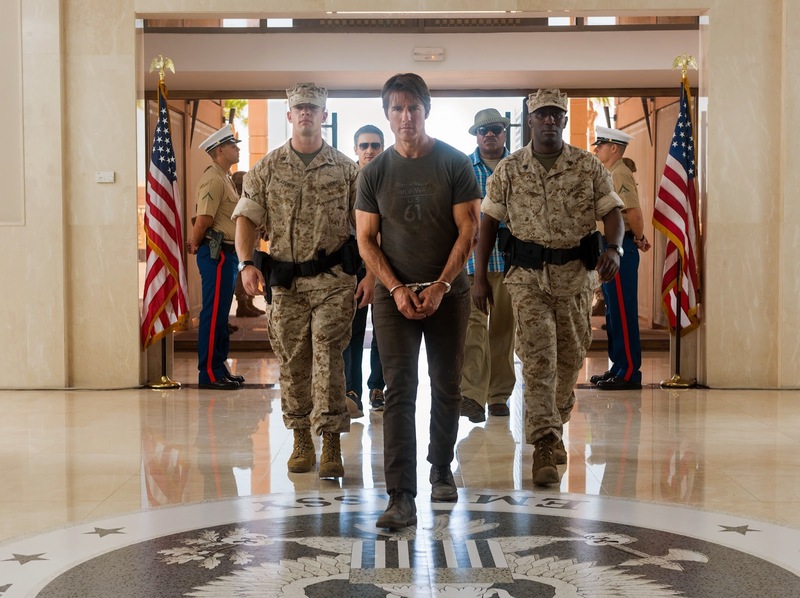 Tom Cruise is the biggest box office draw in the world and he's had an enduring career. He's also done some pretty crazy things over the years. 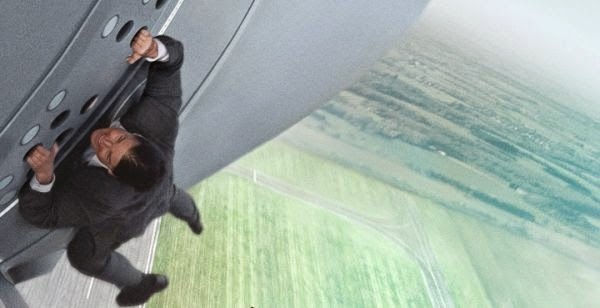 One thing is for sure, any guy that would do the stunts that he did for Mission Impossible: Rogue Nation at 52-years-old has to have a few screws loose. 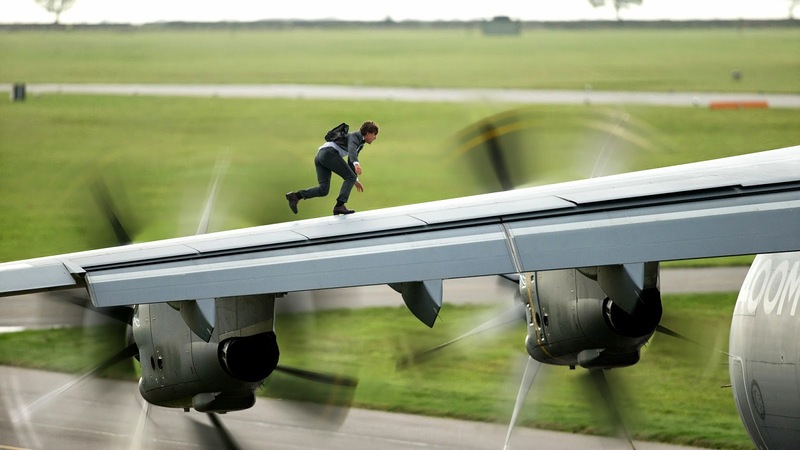 In the new trailer, Tom Cruise runs along the wing of an A400 airplane where a bird or even a small stone could have ripped through him like a bullet. Crusie told USA Today, "While we are going down the runway, we're worried about bird strikes, any kind of particle that the propellers could pick up, any kind of stone. I remember I got hit by a stone that was so tiny, you cannot believe. I thought it broke my rib. Lucky it went to my vest and not my hands or my face, it would have penetrated and gone right through." He also gets strapped to the side of the massive plane as it flies into the air and hangs in the freezing cold with only a suit to keep him warm. "I wanted to wear a suit." Cruise recalled, "For the image of that. You know things did not go as planned. That's the fun of 'Mission.' I remember being hypothermic. At a certain point it was just bone cold." 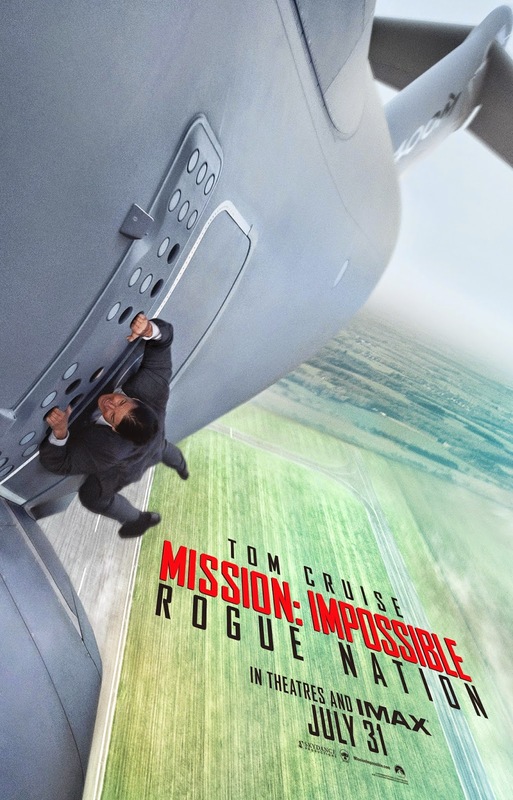 Mission Impossible: Rogue Nation brings back Tom Cruise as Ethan Hunt with Jeremy Renner as William Brandt, Simon Pegg as Benji Dunn and Ving Rhames as Luther Stickell. The film also stars Rebecca Ferguson, Sean Harris and Alec Baldwin. We're especially excited to have Ving Rhames back to the movies since we missed him in Ghost Protocol. One things for sure, even when Tom Crusie isn't jumping on Oprah's couch, he's still crazy. 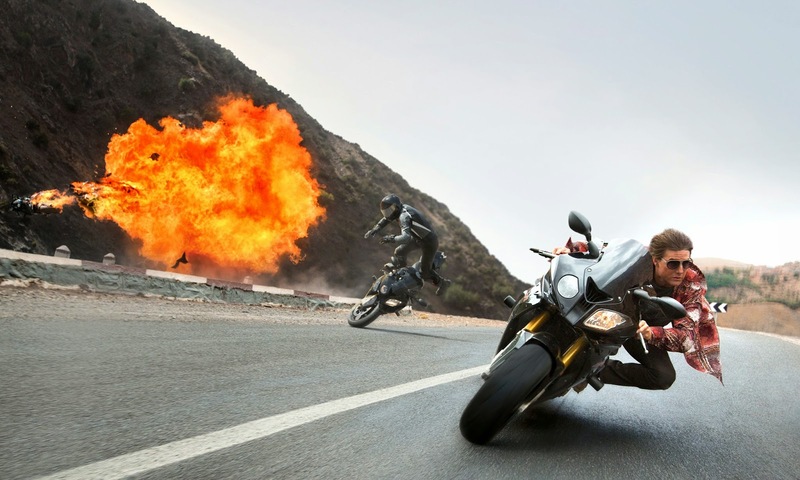 In addition, Paramount Pictures announced that tickets for the first showings of Mission Impossible: Rogue Nation are unlocked with the trailer debut and on sale now – four months before the film’s theatrical release. The advance tickets are available for Thursday, July 30th showings at 7:00 p.m. in IMAX® and premium large format theaters and 8:00 p.m. at additional participating locations nationwide. The tickets are available online at Fandango, Movietickets.com and participating theater box offices. Official Synopsis: "Ethan and team take on their most impossible mission yet, eradicating the Syndicate – an International rogue organization as highly skilled as they are, committed to destroying the IMF." Paramount Pictures and Skydance Productions present a Tom Cruise / Bad Robot production. The film is directed by Christopher McQuarrie and produced by Tom Cruise, J.J. Abrams and Bryan Burk. The executive producers are David Ellison, Dana Goldberg and Don Granger of Skydance Productions and Jake Myers. Drew Pearce, Christopher McQuarrie, Will Staples, Laeta Kalogridis & Patrick Lussier and Dylan Kussman wrote the screenplay, based on the television series created by Bruce Geller. Mission: Impossible 5 opens 12/25. Sign up for Fandango FanAlert to find out when tickets are available near you! Is Tom Cruise crazy? 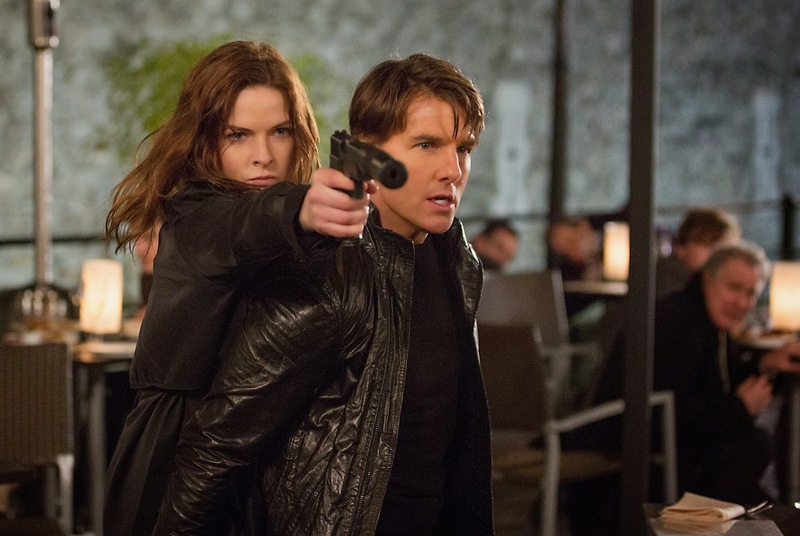 What do you think of Mission Impossible: Rogue Nation? Are you planning to watch the movie? He's crazy, but it does make for fun movies. Think the trailer for MI5 looks awesome. It's good at his age he's still so spry. Must be all that Level 7 Scientology. Wait, wha? MI5? .....I wasn't aware that anyone even liked these movies. The first one was ok and the other were garbage. Is there some demand or need for this? These films went from an intriguing, intricately plotted film (the first one) to stunts films.